N.J. poised to impose 5-cent fee on plastic bags, so why aren’t environmentalists happy? A single-use plastic bag. New Jersey lawmakers have passed legislation that would impose a 5-cent fee on the bags in stores. The bill will go to Gov. Murphy. Joining a growing list of states trying to tackle single-use plastic bag waste, New Jersey lawmakers on Thursday passed a measure requiring a fee of 5 cents per bag for shoppers — but one of the state's most active environmental groups still isn't happy. "Most stores have made the change and now provide more environmentally friendly bags for customers," said Assemblywoman Vainieri Huttle (D., Bergen), who co-sponsored Bill A3267. "This bill encourages more stores to get on board and move away from using the bags that are harmful to the environment." Legislators were split on the measure, which passed by 41-32 in the Assembly and 23-16 in the Senate. Gov. Murphy has yet to sign the bill. The bill would establish a 5-cent fee on single-use carryout plastic or paper bags. The store would get 1 cent of the fee and the remaining 4 cents would go to a fund that would help pay for lead abatement in schools and communities. Some money would go toward a public-information program to address the environmental impact of plastic bags. The measure has the potential to raise $23 million. Shoppers enrolled in food-assistance programs would be exempt from the fee, as would those 65 and older. Stores have the option to incorporate the fee into sale prices, so shoppers might not be aware they are paying for the bags. But the bill would also preempt any municipal and county ordinances already in place on bags. A number of communities have such ordinances, especially along the Shore. If Murphy signs the bill, it would go into effect Oct. 1. Linda Doherty, president of the New Jersey Food Council, a trade group for food retailers, said recently that the council supported the bill because the growing number of local ordinances could cause widespread confusion among stores. "Unfortunately, while well-intentioned, the proposals vary greatly with each municipality and are proving to be costly and confusing for businesses and consumers," Doherty said. "Depending on the town, some ordinances ban plastic bags, while others ban both paper and plastic. A number of proposals impose consumer fees on plastic bags, while others impose fees on both paper and plastic. And the various proposals have different definitions of plastic, paper, disposable, reusable and compostable. All of these varying definitions and provisions have created an unworkable patchwork of local ordinances for retailers seeking to comply." As a result, the council believes a single piece of legislation calling for a fee would "benefit the environment and provide retailers with a uniform and standard policy." The New Jersey Sierra Club had been pushing for an outright ban on plastic. The legislation would prevent municipalities from passing ordinances banning single-use plastic bags. The group fears the bill "might actually make the problem worse," by undermining municipalities and generating money the state will divert to general use. Indeed, the lawmakers have written language in the 2018-19 budget proposal that would allow money raised by the plastic bag fee to be diverted to the general fund. 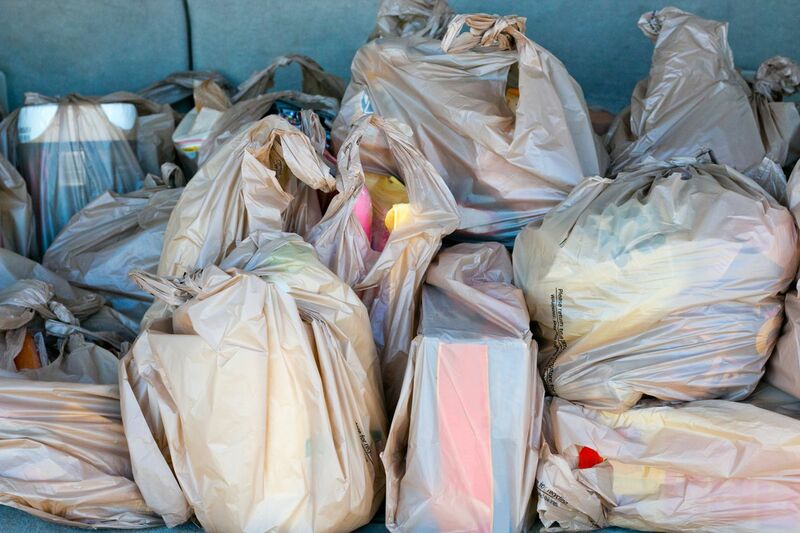 "This is not about plastic bags or lead," said Jeff Tittel, the Sierra Club's director. "It is a scam to grab money for the budget." Single-use plastic bags have been a point of debate across the country, with some states enacting varying versions of legislation aimed at curbing their use, and others trying to prevent bans or fees. Unlike plastic bags that are used in trash cans and ultimately contained in landfills, single use carry-out bags often end up blowing around streets, clogging storm drains and making their way into waterways. They are a threat to wildlife, such as birds, which can become ensnared. In 2014, California became the first state to enact a ban. Since then, at least seven states have passed similar legislation. Locally, in 2009, Philadelphia attempted to impose a bag ban but failed, and then failed to impose a 25-cent fee. Manufacturers of the bags have fought back in Pennsylvania and, with the support of legislators last year, proposed prohibiting cities, towns and counties from banning or taxing the bags. Gov. Wolf vetoed the bill.